Book on a deposit of £100 per person. Full ATOL protection. Are you looking for a January 2019 Orlando holiday? Recover after a hectic Christmas season with two weeks in Florida's gentle winter sunshine. January 2019 flights to Orlando are great value with Virgin – prices are better than at any other time of the year. This Florida holiday January 2019 is based on 6 adults sharing a 3-bedroom apartment at Tuscana Resort Orlando. A fully insured 7-seat minivan is included in the price. If this January 2019 Florida holiday doesn't suit you let us know. We deal with all accommodation, car hire and airlines – we can build the perfect holiday to match your requirements. Get your January 2019 Florida holiday off to a great start with Virgin. Fly direct to Orlando from either Manchester or Gatwick – the cost is the same from either airport. If you need to fly from a different UK airport, we can arrange a connecting flight for an additional cost. January is the low season so flights to Orlando are excellent value at this time of the year. Why not take advantage and treat yourself to a Premium Economy or Upper Class upgrade? Online check-in and seat selection are available with Virgin. Flights include a decent baggage allowance, on-board meals and drinks, seat back entertainment and all taxes. No need to pay for any 'extras'. Virgin flights are also very family-friendly. Once onboard, children will receive a KiD backpack filled with goodies. This will help keep them entertained on a long flight. Learn more about Virgin's child-friendly flights. If you would rather fly with a different airline let us know. We can tailor any Orlando holiday January 2019 to suit your requirements. 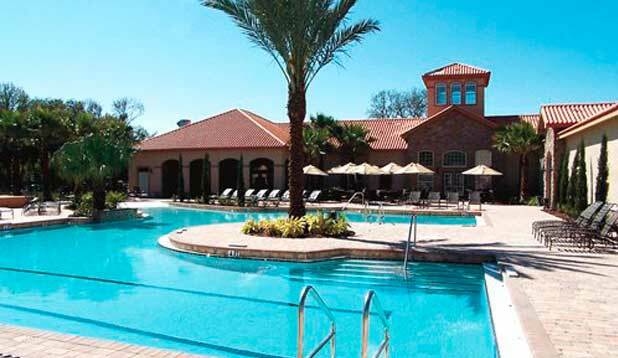 This January 2019 Florida holiday includes a 3-bedroom / 2-bathroom apartment at Tuscana Resort Orlando - an easy 40-minute drive from the airport. 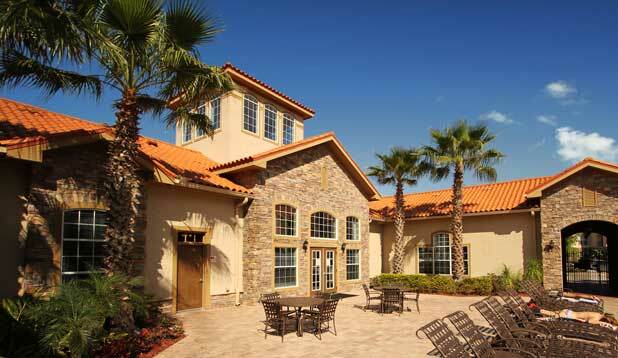 Tuscana is set in 29 acres of Florida conservation and woodland. Enjoy a large heated pool, a separate children's pool, a poolside restaurant, clubhouse, convenience store and even a 30-seat cinema. To learn more, watch this video tour of Tuscana. 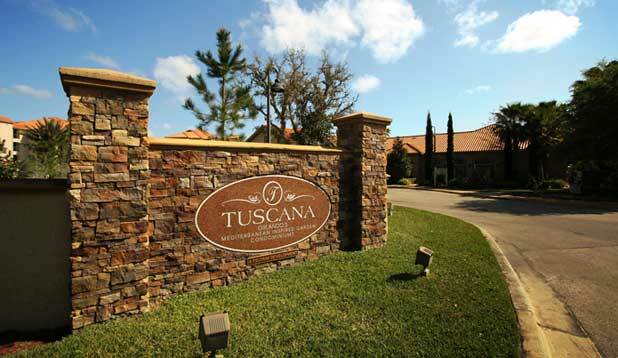 Tuscana is ideal if you're planning to visit Disney or Universal – 15 minutes or 25 minutes drive respectively. The last three weeks of January tend to be quiet at the theme parks so you won't need to spend much time in queues. The mild January weather is perfect for strolling around the parks – a far cry from the hot, humid and busy summer months. If you prefer a day on the golf course rather than a day at the theme parks, Tuscana Resort is a stone's throw away from Champions Gate Golf Club. Highs of 22C / 71F are perfect for a relaxing round of golf. Virgin will carry a half-set of golf clubs free of charge in addition to the usual baggage allowance – why not take advantage? Tuscana Resort is a favourite with our customers. The price and quality are hard to beat. Don't just take our word for it – read hundreds of positive reviews on TripAdvisor. If you'd rather stay elsewhere, let us know. Perhaps you'd like a two centre January 2019 Orlando holiday or a January 2019 Florida cruise? 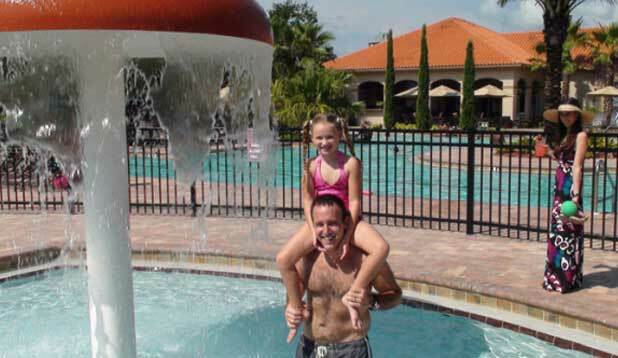 We deal with all aspects of Florida holidays and can build a package to suit you. This package is available from £780 per person – terrific value for an Orlando holiday January 2019. The holiday includes Virgin flights, a fully-insured vehicle and a top class apartment close to Disney. Book with a deposit of £100 per person – balances aren't due until 90 days before departure. If this holiday doesn't meet your requirements, contact us on 01934 319 851 or complete an online enquiry form for a written quote by email. We can tailor any January 2019 Florida holiday to suit you. All of our holidays are fully ATOL protected. We're still writing our 2019 Florida holiday offers but don't let that stop you. Contact us to let us know your requirements and we can tailor a Florida holiday 2019 to suit you. Fly Virgin direct to Orlando, stay in a luxury villa, apartment or hotel. Enjoy the theme parks and the Florida weather. Early bookers are rewarded with the pick of the flights and accommodation - so don't delay! Book early for the best flights and accommodation for half-term February 2019 Florida holidays. 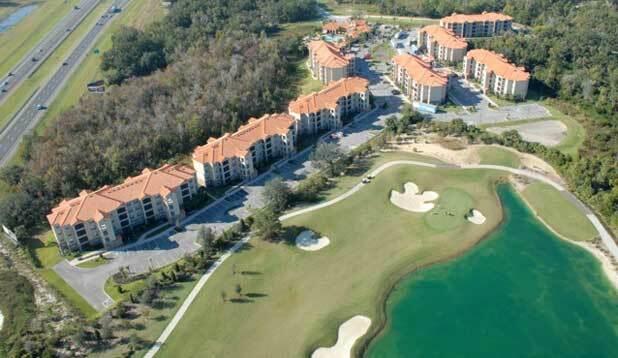 Fly virgin to Orlando and stay at Doubletree by Hilton Orlando at Seaworld. Disney and Universal are nearby. The Atlantic coast and Kennedy Space Center are just a short drive away. There's lots for the whole family to enjoy in Florida at this time of year. Book on deposit, ATOL protected.